Katie, 3 1/2 years old. 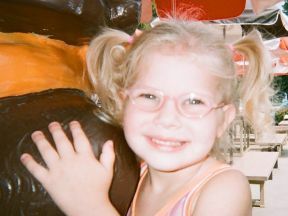 She wears glasses for esotropia and farsightedness. What are these adorable glasses she has on and where did you get them?